MACKAY — A woman in Mackay is doing fine after breaking up a fight between her dog and a mountain lion outside her home. The couple called local authorities, and a Fish and Game officer arrived within a half-hour of the incident. The mountain lion carcass is being tested at the Wildlife Health and Forensic Laboratory to determine if disease may have played a part in the lion’s behavior. Both the woman and her dog sustained some scratches, but appear to be doing fine. The Fish and Game officer advised her to seek medical attention. This was the third incident last month of a mountain lion attacking a dog in Idaho. 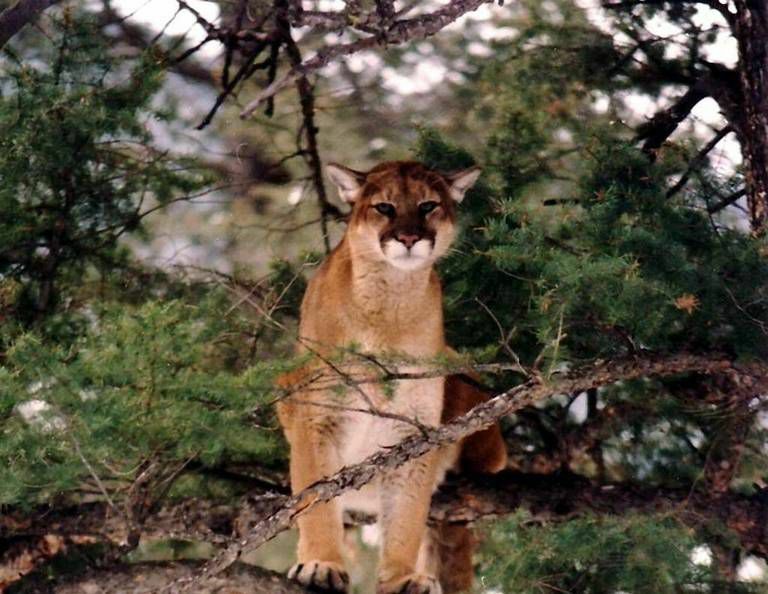 A dog was killed by a mountain lion near Ketchum Jan. 26, and another dog in the Bellevue area was attacked in mid-January and later died from its injuries. Idaho Fish and Game asks residents to be aware of their surroundings and to not leave pets outside when mountain lions are most active, in the early morning or early evening. Katherine Blauer, 62, was pronounced dead at the scene, Cassia County Undersheriff George Warrell said. The crash was at 3:47 p.m. at 515 E. Idaho Highway 81. Witnesses told police a 16-year-old male driving a red 2011 Ford Fusion eastbound crossed the center line and crashed head-on into Blauer’s 2006 blue Chrysler Sebring. Medic One, West Cassia Quick Response Unit, Burley Fire Department and Mini-Cassia Search and Rescue Extrication were called to assist with the crash. The teenager and Blauer had to be removed from their vehicles, Warrell said. The teen was taken by air ambulance to Portneuf Medical Center in Pocatello. His condition is unknown, Warrell said. The road remained closed for two hours while officials completed the investigation. 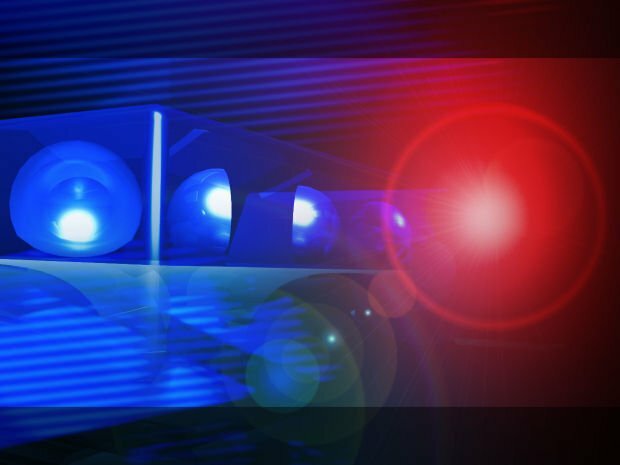 TWIN FALLS — Police were investigating a stabbing on Monday evening when they discovered the victim’s friend had drugs in his car, according to court documents. Jake Bryan Diaz Deleon, 26, was inside the victim’s Ash Street apartment during the police investigation, according to the documents. Officers found the front door to the residence kicked in and there was a large amount of blood in the apartment. The victim was at St. Luke’s Magic Valley Medical Center with multiple stab wounds and had told police that two people broke into his apartment and attacked him. Diaz Deleon said he had received a phone call from the victim’s girlfriend and had taken the man to the hospital in his car. The police officer on scene said he needed to photograph the interior of Diaz Deleon’s vehicle because it had blood in the passenger seat. Police had suspicions of drug activity, and a drug dog alerted police to the odor of illegal drugs in Diaz Deleon’s vehicle, according to the documents. Diaz Deleon later admitted to the officer that he had taken a plastic bag from the residence and hid it under the driver’s seat of the vehicle. Officers were given permission to search the vehicle without a warrant. They found the plastic garbage bag under the driver’s seat. Inside it was a digital scale and multiple bags of heroin, each containing more than 8 grams. Also in the vehicle was a Springfield 9mm handgun with a magazine loaded with 15 bullets. Diaz Deleon was convicted of possession of a controlled substance in 2014 and is prohibited from possessing firearms, police said. Diaz Deleon was arrested on a felony charge of unlawful possession of a weapon by a convicted felon, felony concealment of evidence, and felony trafficking heroin. His bail was set at $250,000 and a preliminary hearing is scheduled for Feb. 15. Detective Brandi Matthews with the Twin Falls Police Department said Diaz Deleon is a friend of the victim and was not directly involved with the stabbing at all. The stabbing is still being investigated. TWIN FALLS — Kathy Jones didn’t always practice yoga. But she is certain she always will. Almost two decades ago, she launched wholeheartedly into the practice, one that has transformed her from the inside out. A personal banker by day and dedicated yogi by night, the yogic lifestyle drives her choices from diet to discipline. In 2005, when Jones taught classes at Shimmy Shakti Studio of Yoga and Belly Dance, it was the only full-fledged yoga studio in town. She recalls asking her sister, “Where are all the yogis?” Somehow, she knew they would come. And they have, in droves. Today, the Magic Valley is brimming with studios for yogis — yoga practitioners — to seek balance and find their flow. The demand for yoga has increased as people have become more aware of its benefits and how it supports a healthy lifestyle. Shimmy Shakti blazed the path for Studio G, Gemstone Climbing Center, Hive Hot Yoga and XrossWay Fitness Center to hold space for thirsty local yogis. But the initial 200-hour Hatha Yoga certification course she took in 2005 through Evolve Yoga in Buhl led her to study Power Yoga, AcroYoga and Ashtanga. Widely known to promote health and happiness, peace and a sense of oneness with nature and the environment, yoga is taking hold in the modern world as a lifestyle and a “middle way,” as espoused in Buddha’s teachings in ancient India. Practicing yoga builds a foundation for good habits, such as discipline, self-inquiry, and non-attachment, according to Dana Diament, a yoga medicine instructor based in Byron Bay Australia. “Today, many agree that the word yuj — which yoga derives from — refers to greater internal states, such as clarity, peace, and happiness,” she wrote for Heathline’s Definitive Guide to Yoga. Yoga is a physical, mental and spiritual practice that blends movement poses known as “asanas” with breathwork known as “Pranayama,” along with a focus on mindfulness and meditation. Its common benefits include reducing symptoms of stress, depression and anxiety; improving sleep and heart health; relieving chronic pain; increasing strength, flexibility and balance; and promoting a sense of self-awareness, along with a positive outlook on life. In a society rife with distraction and stressors, engendering this enlightened state of mind is a way for many to navigate the modern world. In 2016, Yoga Journal and Yoga Alliance conducted a study called Yoga in America, which focused on the growing practice of yoga in the U.S. It examined the perspectives of yoga practitioners, teachers, studio owners, and the non-practicing U.S. public. One of its key findings was that the number of American yoga practitioners had increased to over 36 million in 2016, up from 20.4 million in 2012. The data mark a staggering 50 percent increase in yoga practitioners nationwide just four years. For some, the mat is medicine. Kim DePew struggled with chronic back pain for years before she found yoga in 2009. Despite visits to chiropractors and spine specialists, massage therapy and acupuncture, she was still in pain. Finally, it was her family doctor who delivered her prescription: try yoga for five days a week for two weeks straight. It’s not just variety in age that marks the new demographic. It’s a change in gender patterns as well. Paige Blumenthal agrees the trend is spreading to younger generations. She teaches yoga to recreational and competitive climbing teams at Gemstone. She also manages the Magic Valley Yoga Community Facebook page, where she maintains a running blog of yoga classes and events in the area. The forum has spawned a following for students seeking classes, insight, teachers and events. Blumenthal keeps coming back to her mat for the feeling of being in the now, one breath at a time. Tayler Chapin grew up in Twin Falls, later moved to Ketchum and Boise and returned to the Magic Valley five years ago. “There was an opportunity for me to introduce a new style of yoga here,” Chapin said. In December, her new studio, Hive Hot Yoga, opened its doors to the public in the Blue Lakes Plaza. Hive is the first studio in Twin Falls dedicated purely to yoga. Offering 25 classes per week in a variety of styles, primarily hot yoga, Chapin’s studio averages 66 practitioners a day. Hot classes are held at 98-103 degrees, and practitioners can burn 600 to 1,000 calories in just one session. Chapin’s icy blue eyes sparkle with a deep sense of calm. At 30 weeks pregnant, she shows no sign of slowing down and instructs 12 classes a week. Still settling into her new space, Chapin has big plans for the summer months. She is slating Aerial, AcroYoga and stand-up paddleboard yoga, the art of performing yoga while paddleboarding on calm water. Her expansive back lawn at Hive will transform into a field of fixtures for practitioners interested in bringing their own yoga trapezes to test their balance outdoors. Shimmy Shakti School of Yoga and Belly Dance co-owner Christina Gonzales has accumulated more than 5,000 hours of yoga practice since 2002. “At the first class I took, I felt an inner happiness,” Gonzales said. “Yoga gave me an instant reward. I had never felt anything like it in my life.” Shortly after starting out as a yogi, she noticed personality changes in herself and became a teacher to stay committed to her practice. In 2005, she and business partner Jenna Harder opened the Main Street studio, which operates like a co-op and stresses accessibility for everyone, offering donation-based classes on Saturdays and Sundays. Its namesake evolved from a combination of the words “shakti” or life force, and “shimmy,” or staccato movement. Their studio has been a stronghold in the yoga community since the start. Softly audible breath with a constriction at the back of the throat, known as “ujjayi breathing,” gives the brain a focal point during the practice, and according to Gonzales, it is what allows the mind to relax and awareness to increase. Dennis Brauer, a longtime yoga student, also subscribes to this sage wisdom. When Brauer started attending classes with Jones at Shimmy Shakti, it was the only place in town he knew of that offered yoga. Strength isn’t everything, Brauer claims. “If you can’t bend over, strength doesn’t mean much,” he said. “Anyone who practices yoga can reap its benefits, irrespective of one’s faith, ethnicity or culture,” echoed Mr. V. Mahalingam, High Commissioner of India to Guyana at the Third International Day of Yoga in Georgetown, Guyana, on Jan. 25, 2017. For Wills, Holy Yoga was an unmistakable invitation. Wills came to yoga four years ago storing stress and pain in her neck and shoulders that demanded a solution. “Our bodies are not meant to hold on to stress,” she said. Holy Yoga encourages students to release, open their hearts and allow the divine in. Part of the growing yoga boom involves making the practice more accessible to people. Along with the veritable plethora of studios and styles, the Magic Valley is now host to signature yoga events choreographed to popular music, and a new wave in the yoga world — Buti Yoga. Instructor Jenny Hanson loves to mix it up; at Studio G she teaches Buti, a style fast growing in popularity in the yoga community. Focused on loving the body, developing core strength and using tribal movements to experiment with range and mobility, she hoots and hollers in the dimly lit studio while she leads her students through African dance moves, encouraging them to spiral their chests and hips while in classical poses. Buti is a dynamic yoga practice that blends tribal dance, plyometrics (jump moves) and primal movements to achieve deep core engagement. The Marathi Indian namesake translates to “the cure to something that has been hidden away, or kept secret,” according to Buti founder Bizzie Gold. The cardio-intensive workout often manifests as deep release in the root chakra and places where energy is trapped. Hanson’s Buti classes are black lit and bursting with students, who hoot and holler back to Hanson as they unleash unwanted emotions and tension. Skyler Rienstra plays live music for Hanson’s classes some Fridays at Hive with fellow musician Josiah Wayment to develop the pulse for practitioners. The two play cajones (Peruvian drums), acoustic and electric guitar, and flute. At Hive, Hanson also recently offered a “Zen Zeppelin” yoga class, where her yoga routine is synced to the classic rock band Led Zeppelin’s tunes. Fluorescent lights and loud syncopated beats filled the room as practitioners worked to expand their minds and hearts to the rhythm. The themed series began with Queen; next up, Jones plans to offer a Michael Jackson themed class — blindfolded, to honor yoga’s internal invitation to practitioners. An unlikely combination — beer and yoga — brought many to the mat at Hanson’s January event, where yogis balanced their preferred craft brew on their heads, knees and hips in different traditional asanas. “It’s about having fun,” Hanson said. “It’s important to not take ourselves so seriously all the time.” Events like this, she says, draw people to the studio who wouldn’t normally come. The way yoga makes Mayo feel has led him to consider teaching it himself. He regularly attends Hot Yoga, Buti and Yin Yoga — which involves sustained periods of stretching, less cardio moves and is more meditative. His girlfriend has also caught the fever, and they have attended Partner Yoga, Zen Zeppelin and Queen-themed classes together. Mayo also finds himself eating cleanly and doing more mindfulness practice on his own since beginning his yoga practice. ”I really like what I get in my head from it,” he said. The benefits of yoga have been cited by science and the medical profession alike. For Jones, yoga’s effects are evident in both her appearance and in her state of mind. “Yoga has played a big part in slowing aging down for me because it’s so healthy for my bones and muscles,” she said. Hooked on yoga since the first day she set foot in the studio in 1995 for Hatha Yoga in nearby Kimberly, the beloved yoga instructor feels compelled to share the age-old tradition, in the form of Power Yoga, Vinyasa flow and Hot Yoga with the community. Sipping a blueberry mint kombucha and emanating an infectious sense of calm, Jones knows the secret is inside the breath.